The last week before a concert can be stressful. With limited rehearsal time, music teachers are often working especially hard to finish preparing their students for the big performance. While there doesn’t ever seem to be enough time to rehearse, there is another force at play that makes it unnecessarily difficult to get our ensembles in performance-ready shape. 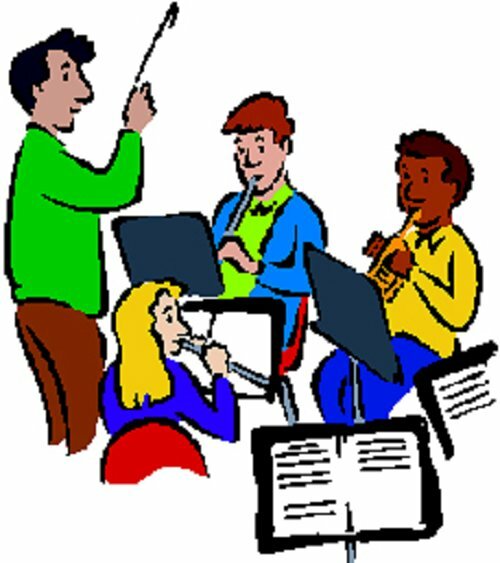 If students are completely relying on the teacher to tell them when they are ready for the concert, then they probably don’t know how the teacher knows this, and they probably don’t know exactly what they should be doing to make their performance good enough for the concert. Of course there are other factors in play too, including good old procrastination on the students’ part. They don’t seem to feel enough urgency to fully apply themselves until the last minute. I think we all have to admit that is an inconvenient part of human nature. But what does the final “product” sound like in the music teacher’s mind? Knowing what the goal is is half the battle. The more the music educator has taught his or her students about what excellence in performance is, the better equipped the students are to effectively work toward that excellence. Many students believe that when they can play all the right notes and in time, they have achieved excellence. This is undoubtedly because an inordinate amount of rehearsal time is typically spent on learning notes and rhythms, and much less time is often spent on blend, intonation, tone, and interpretation. I have often noticed during all-state rehearsals directed by directors of college ensembles, that much more time is spent on blend, tone and overall expressiveness and sound, and that these concepts are often largely unfamiliar to the students in these ensembles, who represent the most advanced and accomplished student musicians we have. How much more are these important aspects of musicianship lost on the larger population of our ensembles who don’t win auditions to elite musical festivals? In my private music studio, I have noticed over the years that tone and interpretation drive technique. That is, it takes much longer to learn the notes first, and then refine the musicality than it does to begin with interpretation and make the learning of notes a musical and expressive rather than just technical endeavor. Students who are in the midst of creating an expressive, well-interpreted phrase just seem to naturally play or sing more correct notes than those who are just thinking about the pitches and rhythms. The later strategy is harder, I think, because it takes the pitches and rhythms out of context, and makes practicing dull and dry. Pitches and rhythms alone are not what make music fun and desirable to make. The emotions and feelings the music brings out in the human spirit is the appeal of music making. If students only get to experience and enjoy these as a last minute add-on, no wonder music directors are hard pressed to motivate their students until the end of the rehearsal schedule, for it is only then that the music is finally placed in its natural and desired context. We want our performances to be technically correct and interpretively expressive. Begin to lead and guide students to making interpretive decisions early in the process. Teach them how the composer has used musical elements expressively, and explore with the students ways in which those musical elements can be performed in the expressive way the composer intended. This will naturally encourage good sound production and intonation. Music that is not in tune and not made of characteristic and beautiful tone simply cannot be expressive or satisfying. Make discussions of dynamics, tempo, rubato, articulation, blend, tone, and timbre all part of the interpretation, and not as dry directions to be followed simply because they are printed in the printed music. As students come to realize that all of these aspects of music are integral parts of the whole, and that only when they are treated together is music expressive and satisfying, they will start to demand of themselves higher levels of musicianship. As the concert date approaches, they and the music director will both be headed to the same goal, fully understanding and aware of what they are doing, and what they are trying to accomplish.